Well with Capcom revamping some of their fighting franchises and now Mortal Kombat having done the same, I'd like to see a few more fighting games get a remake since that seems to be working out well. Darkstalkers, Samurai Showdown, and Battle Arena Toshinden would all be games I'd like to see get done again on the new systems. Last I heard they had their lawsuit against Epic over the Unreal Engine. I have not heard any updates on that at all. I hope they did not close their doors because I too liked Too Human and thought it was better then the reviews said. It did have some problems, but due to the PR on the lawsuit and how long it was in development the game did not stand a chance to stand up to the scrutiny of it. I have the new Mortal Kombat game on my 360 and love it. Very good all around game. Yeah, I haven't heard anything from them since Too Human. The controls were a little strange but once you understood them it worked. I loved the concept of the series, just certain design choices that really hurt it. The death thing was a biggie, it made the game simple because all you had to do was keep at it and you couldn't lose, so it lost all the challenge you would expect in a game. It was really short as well. Somehow I got a feeling we won't see anymore of that series because of the horrible reviews which will cause a lot of skepticism amongst buyers should a sequel be done. At least SK tried different things so I hope they aren't done for good. 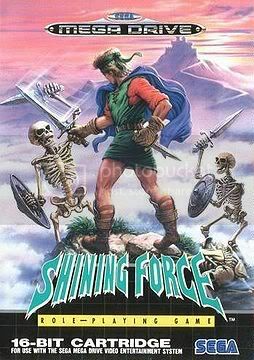 How bout "Shining Force" for Sega?? I know this isn't a remake persay, but the project originally called World of Starcraft and now touting the Starcraft Universe name looks freaking sweet. I think I know what you are talking about, the mod someone made with Starcraft II? The development tools Blizz included with SCII are simply amazing. Mod community has been able to come up with a wide variety of games using it. This is one area where I absolutely love PC gaming over console gaming. Buy one game and you can end up with a ton of other games that keep you happy for a very long time. Closest you have to this on the consoles is Little Big Planet which offers an impressive amount of tools for a console game. Nice choices there, chrono trigger for sure, and I wouldnt mind xenogears. One game that not too many people talk about from the psx era is legend of legaia, that game will always have a special place in my heart and the ps2 sequel really didnt do the first game any justice. I would love a remake of this game over everything. Stuff like this is why I am finally choosing to start playing many games on pc versus console, mods. The fact that someone made a fully functioning mmo from a freakin rts is absolutely amazing. I love how mods can truly enrich and expand so many games, something Ive missed out on due to gaming strictly on consoles. Ive seen the light haha. Last edited by qmoney88; 04-27-2011, 12:47 AM. I would like to see the old game a boy and his blob, or festers quest come back. I think those games were too classic to be passed up on! Christmas came early when i found out they were remaking / retooling the Baldurs Gate series for the newer machines! http://www.baldursgate.com the "enhanced" edition looks awesome! I enjoy the story driven rpgs rather than the point and click of the early diablo and dungeon siege games. definitely need to remake JSRF (jet set radio future)!!!!!! idk why they havent done so already! The police quest series should be redone in some form. There's no games like them now. They could use an open world GTa style. After that I'd gave to say phantasy star iv. Half life on the Cry2Engine!